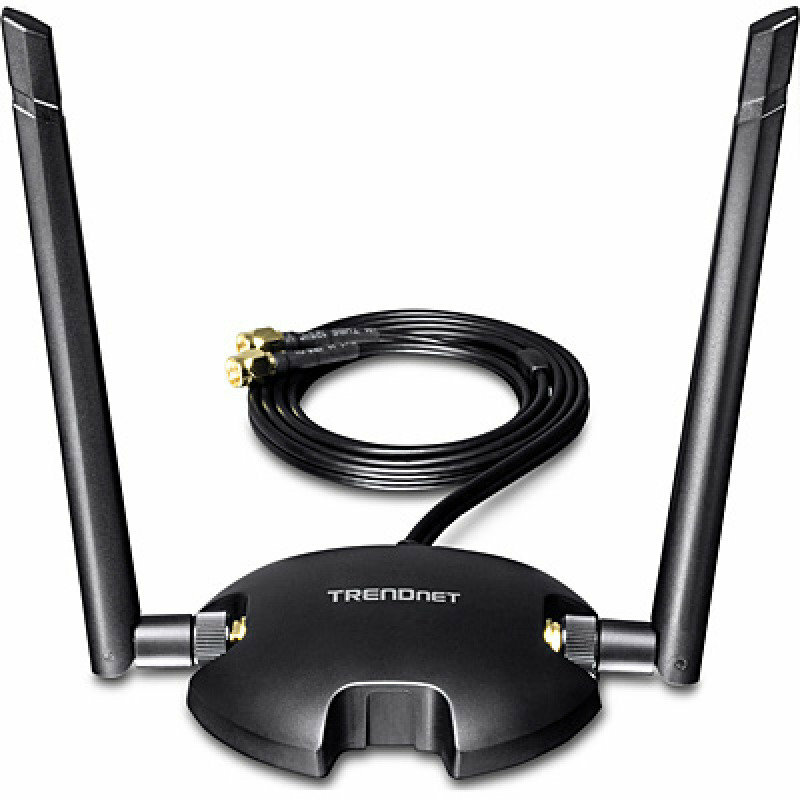 TRENDnet's AC1200 High Power Wireless Dual Band PCIe Adapter, model TEW-807ECH, upgrades a standard or low profile Windows® computer to Wireless AC1200. Quickly connect to a high performance Wireless AC network at 867 Mbps or to a Wireless N network at 300 Mbps. A high power radio with detachable 5 dBi antennas increase wireless coverage. A conven-ient 1 m (3.3 ft.) extension cable and a magnetic mounting base provide installation flexibility.